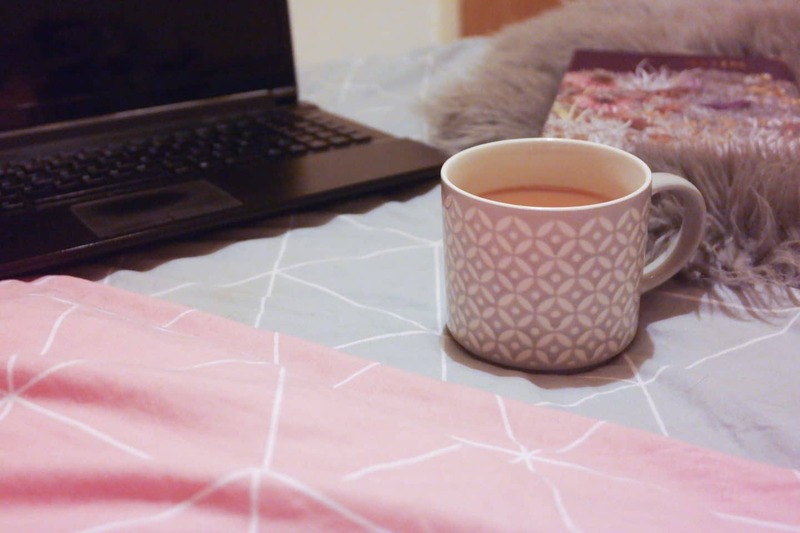 Nestled in what can only be described as a duvet burrito, a hot cup of tea balanced precariously next to my laptop, the perfect working environment for my 5-9 blog work differs wildly from my 9-5 desk job. Somehow, I don’t think a duvet burrito would be acceptable in the office at work. Since starting blogging, I’ve noticed that your surrounding environment can have a huge impact on your ability to product content. From bustling coffee shops to peaceful blanket forts at home, we all have our own idea of what makes the perfect working environment. From an early age, it’s been ingrained in us all to work at a desk. Head down, distractions low and focusing solely on the work in front of you. Fast forward to today and those conditions are still pretty strong in my 9-5 job. I still need that level of structure to keep my concentration levels high. Except, I also need copious amounts of coffee and snacks. Seriously, my out-tray has been replaced with a snack tray and coffee station. Oh and I don’t even feel guilty about it. My snacks get me through the working day and motivate me to power on through until 5pm. A happy, safe working environment is obviously necessary and important for all. If you ever want to learn more about employment laws or your rights as an employee, Slater Gordon Lawyers have a plethora of information at hand on their website! As I work in digital marketing, my job isn’t too dissimilar from my hobby and yet my ideal working environment couldn’t be any further apart. At work, I need that structure. Sitting at a desk, no phone (or social media) to distract me and no background music either. Apart from chatting to my colleagues every so often, I’m pretty focused on the work in front of me. Whether I’m writing content for the website, doing data analysis for AdWords or any of the other 48 tasks on my daily to-do list, my attenton rarely falters from the task at hand. That structured office setting is perfect for getting my head down and working hard. Yet, that rigid, uncreative office environment would be a disaster if applied to my blog work. My perfect working environment for my 9-5 is on the opposite end of the spectrum to my ideal 5-9 working environment. It’s like being in an alternate universe. When I’m doing work for my blog, you’ll usually find me in the cosiest of situations. I’m talking, fluffy pjyamas, blankets, duvets, hot cups of tea on tap and biscuits. I embrace all of those homely comforts. Without them, my mind wanders. Sit me at a desk with white-washed walls and tell me to write something and my creativity will stall. My power to write a blog post will dissolve. But wrap a blanket around me and ensure I’m as cosy as humanely possible? And you guessed it, the words flow like the endless English rain. Sitting at my desk at work, background music or shows would distract me beyond belief. But when working away on my blog, I often find those background noises comforting. I’m no stranger to putting on a vlog or podcast to keep my company whilst I write to my heart’s content. Naturally, I don’t pay 100% attention to whatever is on in the background and probably couldn’t give you a recap of anything I watch, but having that background noise does wonders for my blog work. For my blog, I could also quite happily plonk myself in a coffee shop and type away whilst coffee warms my cogs and the bustling background chatter soothes my soul. Whilst my working environment for my 9-5 job and my ideal working set-up for my 5-9 hobby may be complete opposites, they’re both nothing compared to my dream situation. I’ve spoken before about how the dream job is to be a digital nomad and with that comes the dream working environment. Having the ability to up-sticks and work from anywhere in the world is a huge dream of mine. I long for the day I can call anywhere home and with that, call anywhere in the world work. For each day to be a total surprise and filled with variety would settle my curious mind. I’m an adventurer at heart with a thirst for creativity, activity and learning. I want to absorb myself in experiences and feed that energy back into my work. A slow, lazy life isn’t the life for me. If I want to work well, my curiosity needs to be nurtured. One day, I hope the digital nomad life will be a reality for me. Until then, I’ll continue with the perfect work/blog balance of a desk life during the day and duvet burritos at night as I work hard around the clock producing content I’m proud of. Ahhh yes, I’m all about super snuggly when it comes to working from home. If I had it my way, I’d be sat in the office in a mountain of blankets at my desk! This is such an interesting post! Similar to you, I have a 9-5 job in PR in an office, but we have the option to work from home. I tend to only use this when I really need to crack on with a hefty piece of content or some important admin, to avoid distractions. I find how much I can concentrate in a traditional office job depends so much on the mood in the office – if everyone is more heads-down then I can do the same without music and chat, but when people around are more chatty I sometimes have to literally block everyone out with headphones. 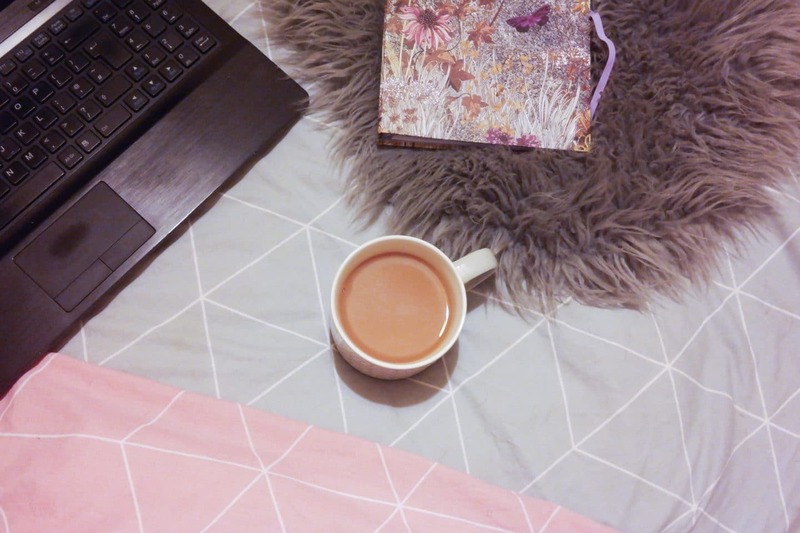 When it comes to blogging, sometimes like you I love being all cosy with a blanket and coffee to focus, but other times in that environment I just can’t focus and have to physically sit at a desk to get blog posts finished. Love reading about how other people work! Oh gosh, thank you so much Fiona! 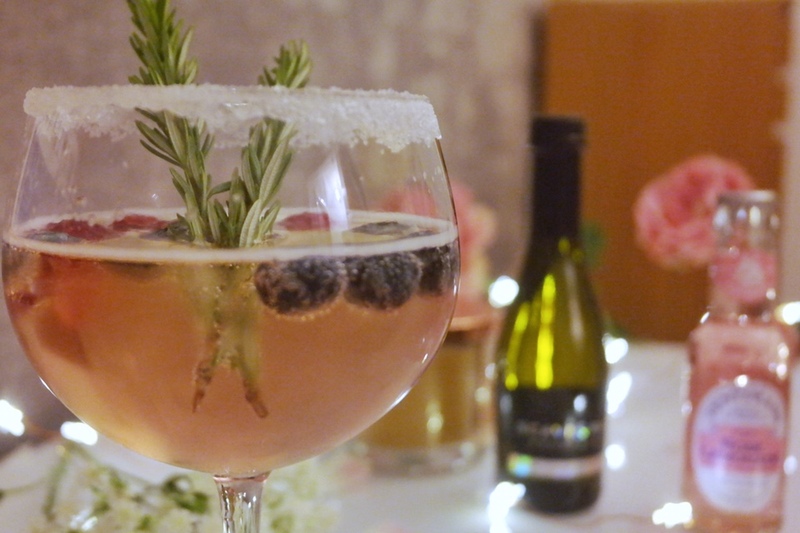 Having the option to work from home sounds like it’d be an absolute life-saver at times. I completely agree with your approach…I think I’d only use it in those circumstances when you realllly need to otherwise I’d get way too comfortable! Oooh I didn’t even think about how the rest of the office can affect you! I find a bit of background noise in the office can help me. If it’s too noisy, I’m 100% distracted but again, if it’s silent, I’m on edge and so aware of my surroundings! Ah you sound like you have it allll figured out when it comes to what you need to crack on and work hard. I’m sure it’s no surprise that I’m sat in my bed, wearing the fluffiest pjs possible whilst replying to this! It seems I’m just drawn to comfort when it comes to my working environment ha!